The last few days have been slightly bonkers, with ‘normal’ life turned upside down. There are things I’ve been meaning to write, but they’ve had to wait. 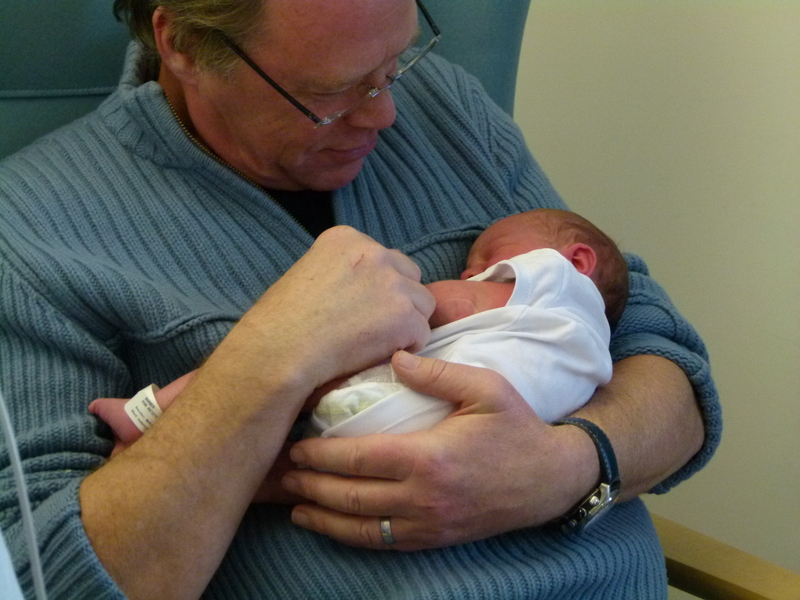 I should change the comments on the home page, but our grandson was born on Monday evening… My mum’s birthday! We had a suspicion that something was happening, as Mary was not replying to a text – turns out she was a bit busy! We were so excited to receive a call from Michael on Monday evening, hearing that both baby and mum were doing fine was music to our ears. Michael asked us to go to the hospital to collect them in the morning. Talk about a million Christmases! I was far too excited to sleep, so spent the night tossing and turning. It turns out that Michael, alone at home was the same, and Mary couldn’t sleep because she didn’t want to stop gazing at her son. George Stephen had to be helped into the world, and has the marks of a suction cap on his tiny little head. These marks will fade, but even with them, he’s perfect. We had to wait longer than we thought until we could see Mary and George (how the morning dragged), but caught up with them when the hospital opened up for visiting. Pete choked, I cried, Mary beamed, George wriggled. It was an incredible moment. We both held him for cuddles, before passing him back to mum. They wanted to get him home, and we were in danger of holding up the discharge processes. I cannot really begin express how this has moved me in ways I didn’t expect to. I was so excited to know that he was in this world, and Pete was deeply touched by my palpable giddiness. I have such deep love for Mary, for the gift of life that she’s created. We both feel connected in a different way into our family, so my affection for the baby is so very deep – for the sense of family that baby George brings. We feel so incredibly proud, slightly daft with happiness, and we know that we will move mountains to help keep him safe, healthy and happy….